All homes currently listed for sale in the zip code 78023 as of 04/20/2019 are shown below. You can change the search criteria at any time by pressing the 'Change Search' button below. 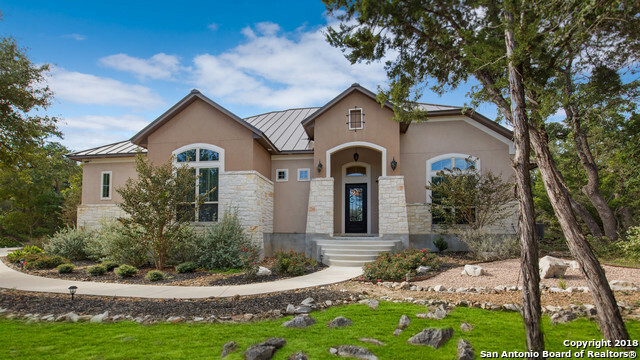 If you have any questions or you would like more information about any Helotes homes for sale or other Helotes real estate, please contact us and one of our knowledgeable Helotes REALTORS® would be pleased to assist you. "New Un Finished house on pier and beam. Great views with lots of peace and quiet. Lender owned. 76, unrestricted acres outside city limits. Two wells and a septic tank. Owner has no information on structure, wells or septic. Possible short term owner financing. Several great building sites for additional houses or subdivide property. Inside measurements are estimated and may not be correct." "Gorgeous Mediterranean style estate with breathtaking hill top views. 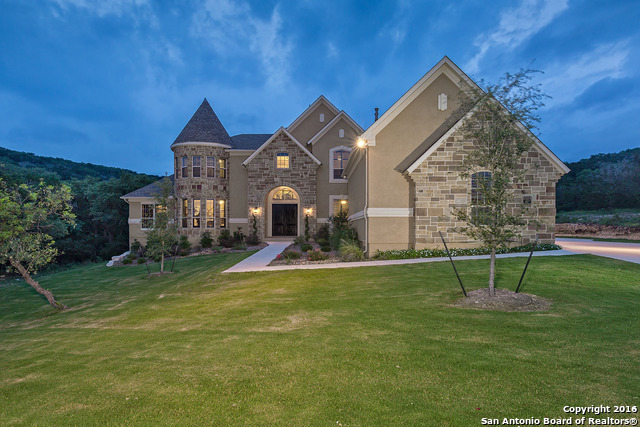 Elegantly adorned with natural stone this luxurious 5 bedroom 4.5 bath home offers it's homeowner the highest degree of finishes and features. Tastefully designed with vaulted ceilings accented with cedar beams, hardwood and stone flooring, arched doorways, and custom cabinetry. The master suite features a private study and exquisite walk through shower. Host friends and family in the outdoor entertainment area equipped with s"
"Peaceful, secluded, immaculate 4/4 house that sits on 14+ ac. scattered with mature manicured oak trees. Perfect setup for entertaining guests and family - amazing pool, lighted volleyball court & horse shoe pits, beautiful patio and to enjoy viewing the wildlife. Guest house 1/1, 2 car garage, combo kitchen living area, and own utility room. 40x60 Workshop with Auto Lift. Movie Room & Safe Room. Security Camera System. This house has so much to offer!See Feature Sheet for more details!" 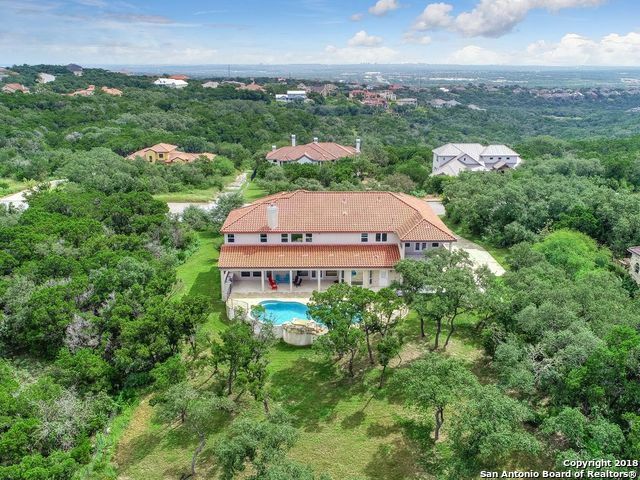 "Breathtaking views, charming and classic architecture, this Hill Country Estate is perfectly located a short drive from world class shopping and golf.This beautiful home on 17 acres adjoins the Government Canyon State Natural Area. Driving down the private lane you are surrounded by majestic oaks and fields of wildflowers. This home features high ceilings, big windows and an open floor plan.The guest quarters and relaxing pool open a world of opportunities for hospitality and entertainment. 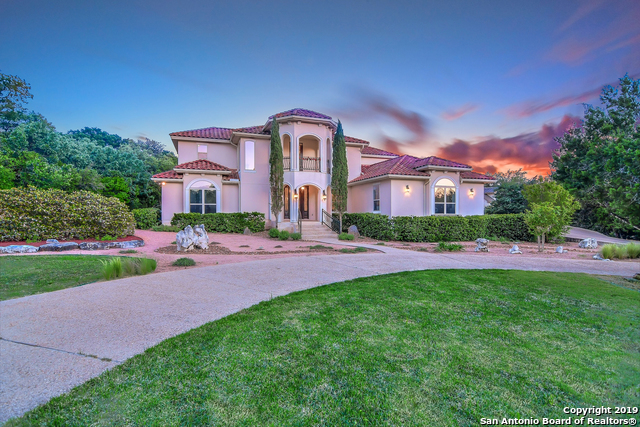 WILD"
"Professionally Faux Painted home abounds w/Privacy on Cul de sac backing to Government Canyon with Room for Everyone INCLUDING: dual master, study, Hunting and Exercise rooms, game and media room and complete cabana bath!! 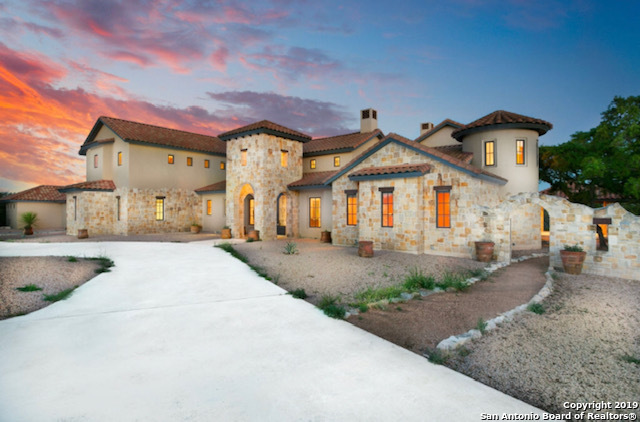 Newly constructed home has luxurious chefs kitchen w/ island open to master PLUS view of the canyon. PLANTATION SHUTTERS, CUSTOM MASTER& WOOD &TILE FLRS. Master suite has a 200 sq foot custom closet w/ built ins, oversized shower and more. Oversized laundry room w/island& bu"
"THIS INCREDIBLE, UPDATED ONE OF A KIND ESTATE HAS TOO MANY FEATURES TO LIST! 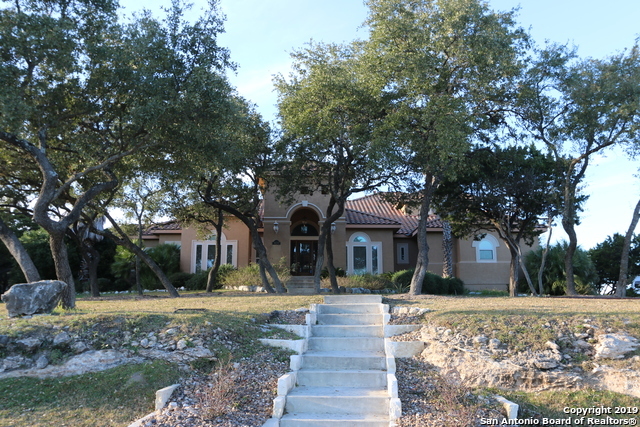 IN DESIRED HELOTES in gated community! You MUST come and see for yourself the 4700sf Main 1.5 story 5/3.5/2 home with walls of windows incl. incredible game room w/wet bar & Media Rm on main..and the 1680sf 3/2 guest house w/huge covered terrace..and the casita w/full bath and covered patio..and the work shop w/AC or poss. 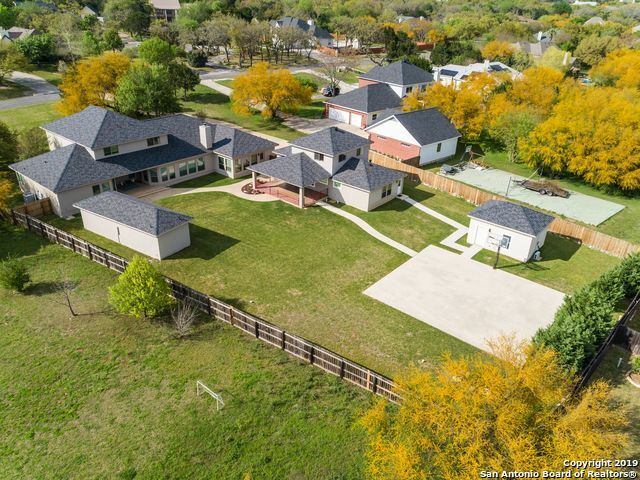 3rd car gar..and the half sized basketball court...This impressive & unique treasure will leave yo"
"Here it is, large family home on 1.12 acres over looking Government Canyon. Built my McNair 6323 sq. 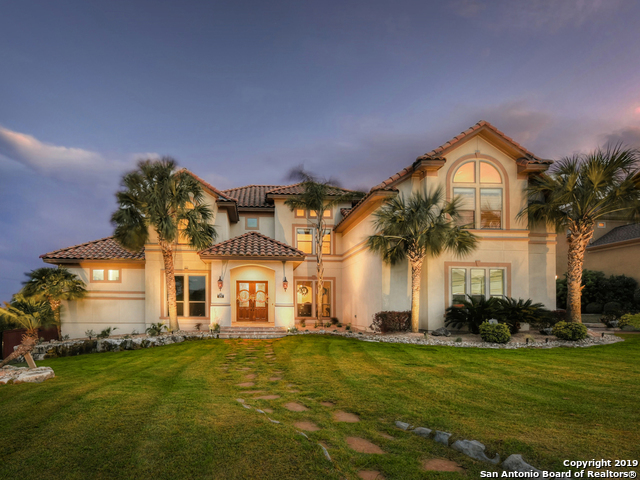 ft, dual master suites, 6 bedroom, 5 bath, high ceilings, office/study. Open floor plan, large kitchen with an island, custom cabinets and Viking appliances, breakfast nook, and formal dining room, plus a living room has a fireplace. Upstairs are the 5 bedrooms ,and a media room. Step outside to the Keith Zars pool, outdoor kitchen facing 12000 acre canyon. 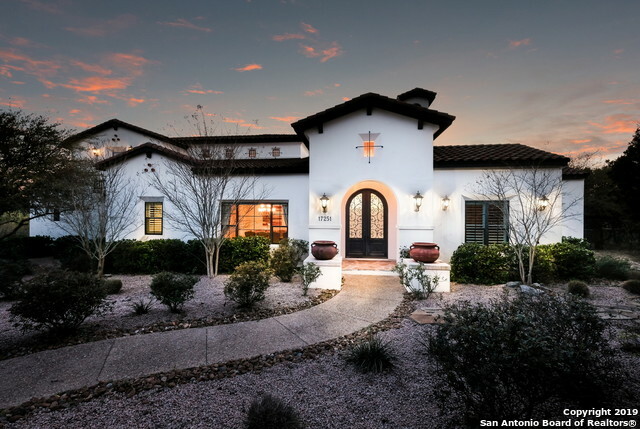 Ez access to San Antonio and the Hil"
"Fabulous custom privately situated on a culdesac overlooking a pristine 12,000+ acre preserve of awe inspiring hills/canyons~Fabulous double island kitchen extends into a splendid great room w/ beamed ceilings~A host's dream~Luxuriously wide arches & hallways~Open visual spacing throughout~Handsome rock wall master suite w/ access to outdoor seating, immense pool w/ beautiful fountains and spa~Study and guest bed down~Media room and game room w/ mini bar up~Circular drive~Forever private~Unendin"
"Stunning,exquisitely designed estate ft grand scale living spaces&fine details throughout.Natural lighting floods the interiors from walls of floor-ceiling windows&soaring ceilings.Chefs kitchen w/oversized granite island complete w/pro grade stnls steel apps&gas ckng.Superb master suite&luxurious spalike master bath w/large walkin closet.Guest beds are spacious&luxe enjoying large game room/sep theatre.Resort style outdoor oasis boasting a Keith Zars pool/spa w/covd cabana,full summer kitchen&s"
"MUST SEE! You cant find another home to offer everything this incredible home has. 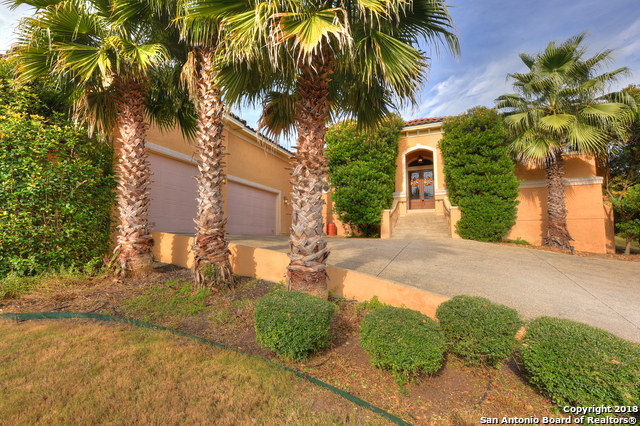 Goverment canyon steps away from your property, resort style pool&spa, cabana, patio, water slide. Inside Gorgeous high ceilings...talk about the chandelier!! Maste retreat, MBath amazing size, Gameroom, craft room, MEDIA room, every bedroom has a full bath, homework area, The kitchen to die for, incredible bookshelves in office, the view from that house is incredible, Make sure you do not wait to come see it." 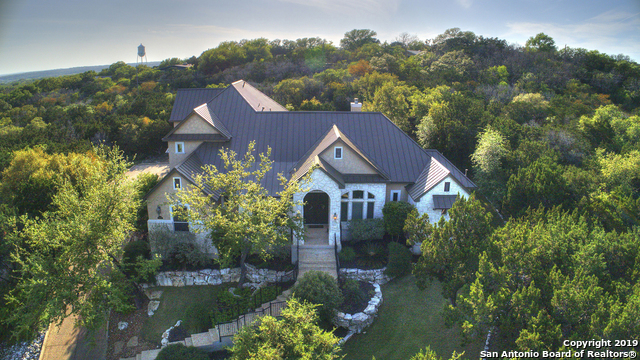 "Spectacular TX Hill Country living within this sprawling,private acreage estate. Exquisite finishes&craftsmanship to inc soaring ceilings,floor-ceiling windows&gourmet kitchen w/pro grade stnls stl apps,extensive builtins for ample storage.Master retreat w/picturesque vistas of outdoors w/private covered balcony.Guest bedrooms are spacious&enjoy large closets.Outdoor oasis with sparkling pool,cabana w/full summer kitchen&bath with a parklike setting offering the perfect backdrop to enjoy stunnin"
"20 Mile PANORAMIC VIEWS of San Antonio from your Hilltop Estate in sought after Los Reyes Canyons (Camera/Gated). Enjoy entertaining with an Open Concept floor plan, 3 living areas, Large patio and an upper deck. Kitchen with views and GE Monogram gas cooktop, Bosch double ovens, Sub-Zero Refrigerator is every chef's dream. You'll love the laundry room, 2 Offices, the over-sized 3 car garage and extra parking. Top it all off with a standing seam metal roof (2018). Come HOME and Enjoy the Views." "SEE APPRAISAL FOR OVER 1 MILLON! *Pool, Gazebo, 24 X 20 Cabana, Pool Bath, 2000 SQ FT of Outdoor Entertaining-TV, Speakers, Grill, Fridge*Mast w/FP that Doubles to Jacuzzi Tub, Glassed in Shower w Dual Shower heads, 3 Closets*3/4 inch Acacia hardwood flrs*Office/Guest House w attached shop*2 STORY tall 4800 SQ FT Warehouse w 4 Roll Up Doors, 2 Fridg*Wood Shop*4 AC Horse pasture w, Water, Elec, Horse Feed & Tack Room*Fully Fenced + Cross Fenced*Solar Powered Ent Gate*24ft X 13ft Cov Frnt porch w 2"
"Elegant and cozy home has everything you've been looking for! Chef kitchen w/Jenn-Air gas stovetop, granite ctops, S/S appliances and wet bar. Living area w/rock fireplace, 2 spacious masters and lg study down. 3 bdrms, library, media, game room upstairs, so much space, must see to believe! Enjoy beautiful views and sunsets, resort style living in lg back yard w/outdoor kitchen, large covered porch, cabana bath, and fire pit. (Hot Tub excluded). Close to Med Center, Fiesta Texas, The Rim, and"
"This gorgeous estate in Iron Horse Canyon is the epitome of fine living!Elegant details throughout make this home wonderful for entertaining,yet warm&inviting for casual everyday living.Enchanting wood,Saltillo tile&carpeting flow through the well thought out floor plan featuring a main floor master suite,impressive studio,game&media room.Indoor/outdoor living seamless from the spacious covered porch to the panoramic views overlooking the Hill Country.Lovely clubhouse,pool&park complete the outd"
"Secluded estate on 4.75 acres showcasing exquisite hilltop views. 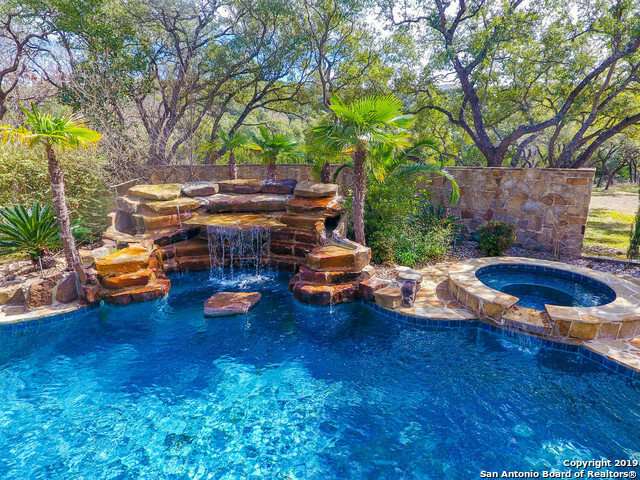 Native Texas landscape, infinity edge pool, multiple outdoor living spaces w/fireplaces & more. Versatile plan design for comfort & formality. Desirable kit w/gas cking, ss appliances, granite & huge pantry. Flex space downstairs used as an office. Secondary bdrm down too. Incredible mstr suite w/wood floors, study, luxurious bath. Oversized storage room and laundry. Media/gmrm up. Privacy abounds. Well Maintained! 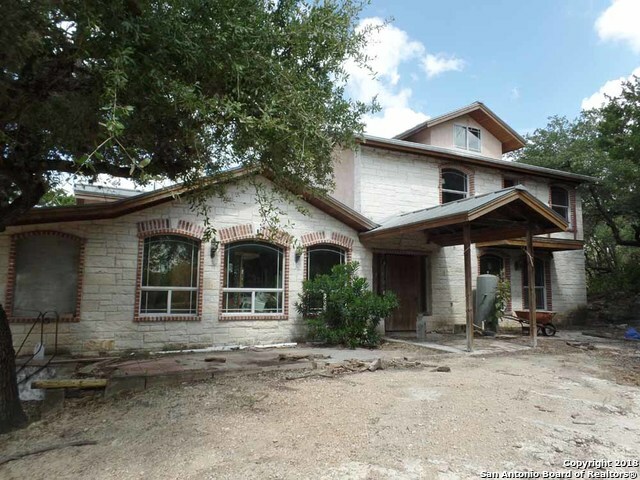 Energy efficie"
"McNair Custom home designed by G.Arredondo, 1.63 acres in Helotes. 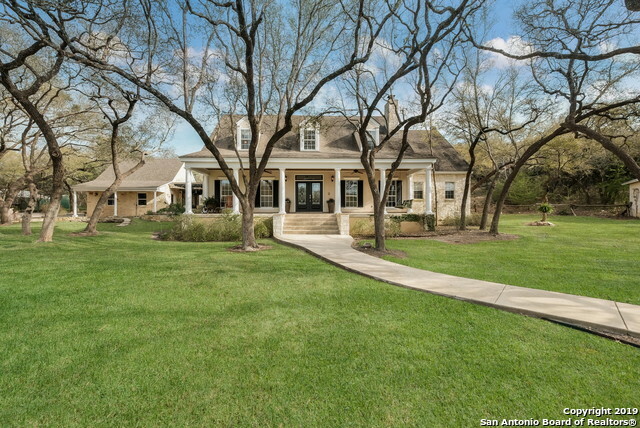 This fab 5 bed, 4.5 bath home has it all! Master ste, 2 secondary bed and 2.5 baths are on the main floor! Half-bath has outdoor access! Upstairs retreat features huge gameroom, 2 bed, 2 baths and outdoor terrace. Beautifully landscaped grounds. Kitchen features stone accents, granite counters, stainless appliances, double oven, gas cooktop. Room for a pool! Custom landscape lighting, 3 car garage! Hot tub conveys! 2 patio areas "
"Beautiful home in The Estates has breathtaking views of Government Canyon and luxury features inside and out! Chef's kitchen with granite, oversized island that opens up to nook & family room with panoramic windows . 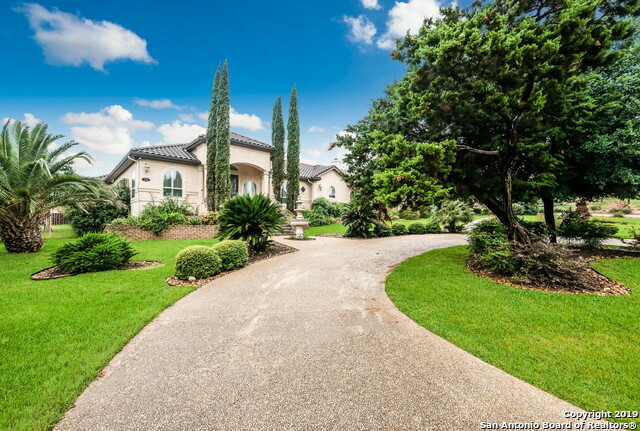 Rich hardwood floors, plantation shutters throughout , master has two walk in closets & jet tub. Main level bedroom & full bath, 3 bed upstairs with private baths. Office, formal dining, three car garage, storage galore. Vanishing edge pool, built-in grill, granite /TV/fire-pits/ fi"
"One Story with Pool and Sports Court and Media Room! Enter into atruim styled entry with custom ceiling detail in entry and breakfast room. Fabulous island kitchen with commercial gas cooktop with 6 burners griddle & grill; pot filler; subzero fridge, wine fridge & dual sinks. Stone fireplace in family room. Dining room w. butlers pantry. Surround sound in every room. Game room w/ wet bar and media room. 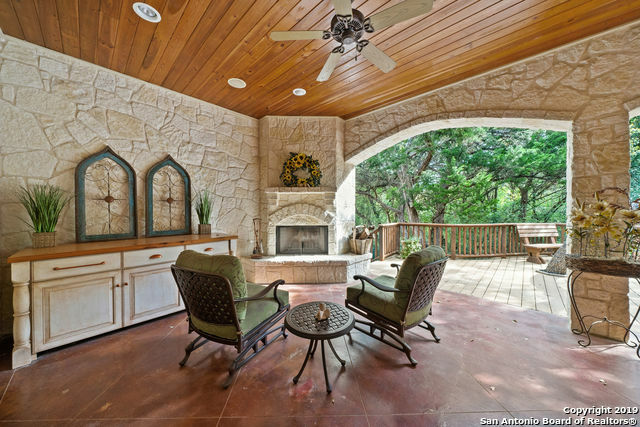 Walkout master bedroom opens to covered patio and pool"
"Hill Country home in gated community on wooded 1.37 acres. Ktchn features lg island w/ copper veg. sink, 7 pullout drwrs in cabinets, custom spice & silverware inserts, under-cabinet lighting, Bosch dishwasher, Wolf range, integrated appliances, oversized pantry. Hand scraped Hickory floors. Built-in cabinetry throughout. Lots of Storage: walk-in Texas attic upstairs & 4 window seats w/ storage. Wood windows- Weathsheild. 992sqft of covered porches, built in 36 DCS gas grill, fenced back patio w"
"Words alone can't describe the sheer beauty of this home, you'll have to see it for yourself. This property has more luxury custom features than can fit in this description alone. 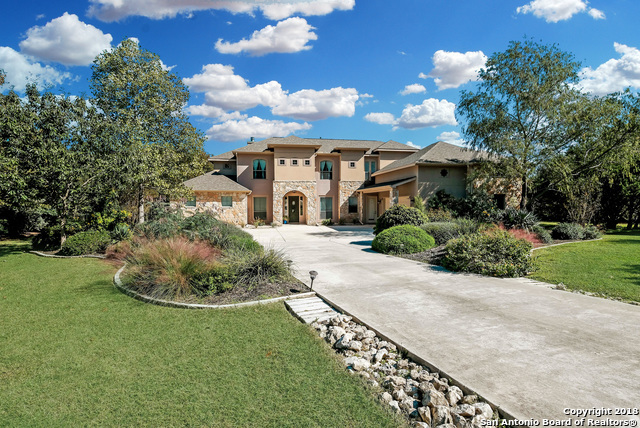 This estate is located in one of the most exclusive gated subdivisions in Helotes and nestled in a grove of oaks trees bordering government canyon state park. Top to bottom this home features the highest-end most prime quality materials and finishes available. 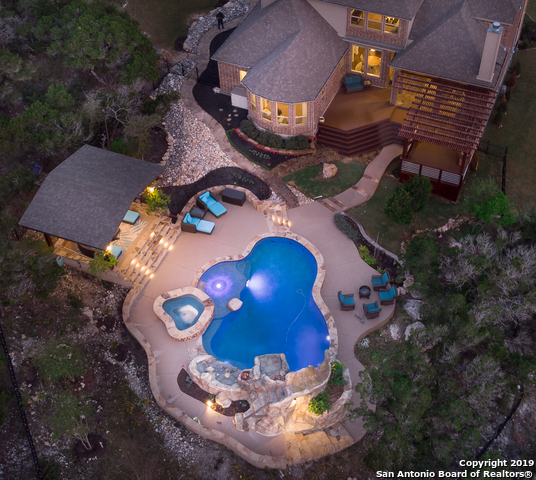 Come take a look at what it is like to live in a five "
"Luxury Hill Country living at it's finest on .86 fabulously landscaped acres! Chef's paradise in a magnificent kitchen featuring gas cooking, granite counters, oversized island, dbl ovens, & Jenn-Air cook top. You'll love the executive master suite with 2 closets, outside access & spa like bath boasting split vanities, jetted garden tub & XL shower w/dual shower heads. Spacious media/flex room is perfect for a private guest wing. All this + gorgeous ceiling treatments, study, Jack/Jill bath & ga"
"Pristine,bright,dynamic contemporary home in a quiet gated/w camera community. Spacious & flowing. Oversized windows, high ceilings, & an open plan create an elegant entertainment space for all occasions. 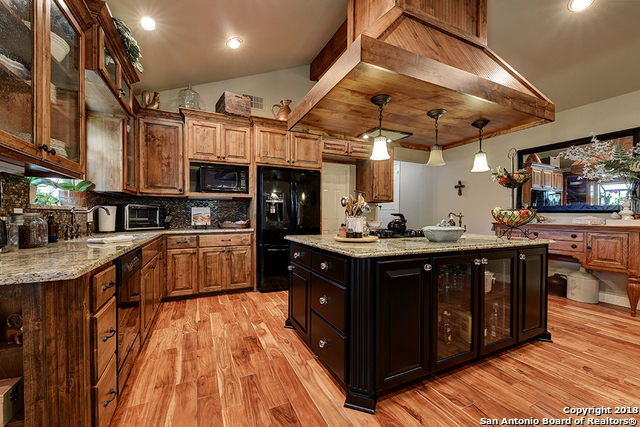 Gourmet kitchen that would exceed world class chef's expectations. Entertain in the outdoor kitchen equipped with a mini fridge, sink, and grill or in the private home theater located upstairs equipped with a wet bar,micro, refrig. Greenbelt provides privacy & serenity. Plenty of room for a POO"
"Gorgeous Mediterranean McNair Custom Home. Covered front porch with incredible San Antonio city views. 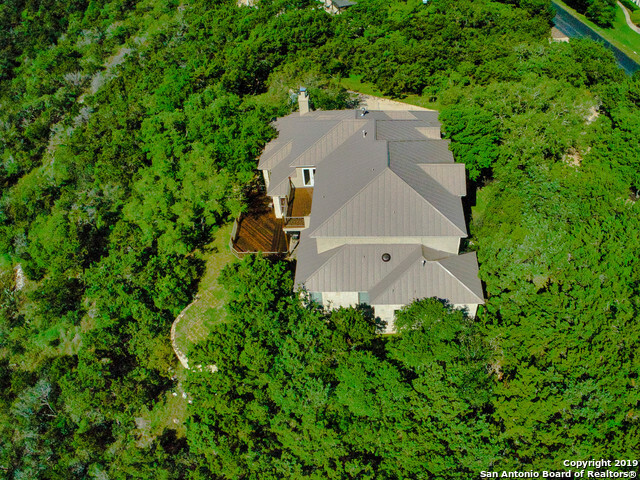 1.91 acre cul-de-sac lot in prestigious Acadia Heights Estate in the city of Helotes. Hardwood floors and custom tile throughout. Master and guest suites down. Executive size kitchen great for entertaining. Living room with vaulted ceiling fireplace. Game room w/wet bar. 3-car split garage. Close to Shops at La Cantera. UTSA, Fiesta Texas, I-10 and 1604 corridors. Motivated Sellers!"